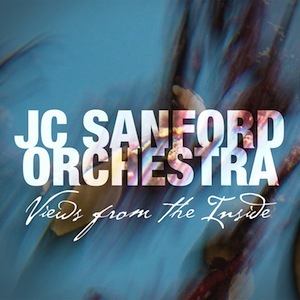 Multi-talented trombonist and composer-conductor J.C. Sanford has undertaken a vastly ambitious project here and, if at times it is a tad too clever for its own good, it is a captivating and enthralling ride all the same. Classical and jazz traditions meet head on in terms of both the instrumentation (cor anglais, French horn and strings as well as brass and rhythm section, plus accordion for even greater eclecticism) and approach with a near symphonic piece on the fifteen minute title track. At best the influence of the great Gil Evans can be heard as on ‘Sky Good’ with vibes and a warm tenor saxophone solo from Chris Bacas. Ideally, this writer would like to hear more of this side of the large ensemble where jazz timbres reign supreme. There are definite hints of Mingus in one of the urban suite numbers, ‘Brooklyn Vignette #5’ aka ‘2nd and 7th’ with fine ensemble work from the brass that recalls ‘Scenes in the City’ and solo trombone playing from Mark Patterson. From a classical perspective, Leonard Bernstein’s influence can be heard on ‘Your word alone’ with a sound akin to a dramatic film score depicting an edgy, fast-paced urban landscape. A more reflective side is demonstrated on the gentle tranquillity of ‘Robins in snow’ with a welcome opportunity to hear Sanford the instrumentalist in full flow while on ‘An attempt at serenity’ the intro hints at the Star Trek theme while the rest ends up sounding like a suite from Holst’s ‘The Planets’. The composer has rightly gained a reputation for his writing with his compositions covered by musicians of the calibre of John Abercrombie and Dave Liebman. Creating in some parts simpler pieces would greatly enhance his work in general, but this is unquestionably a musician with a lucid vision and that is surely going to pay dividends in the near future.